Drink and be merry - if you can't do that in a pub, is it really worth it? You can party in the hippest part of town on a budget. Head to these pubs to celebrate, unwind or to simply have a good time. If you’re in a celebratory mood and feel like having a drink with friends followed by a good meal, National's Kitchen and Bar is where you should head. With pegs priced low and affordable Indian food, you can have a sit-down dinner and drinks at this restaurant. Order some kebabs or a fish tikka and wad it down with a classic rum and coke. True to its name, The Bar Stock Exchange offers alcohol at rates that keep changing. What might be INR 50 now, might become INR 150 in the next 3 minutes. The excitement provides for a fun night out, while also being light on the pocket. Bet on your drinks, bite into delicious bar food and have a good time with your crew. Known for its casual vibe and insanely affordable prices, Hidden Place is somewhere you can spend hours sitting and talking with a friend-without burning holes in your pockets. The Hidden Place offers good deals on alcohol and you can dig into some bar fare too. The perfect place to pre-game before a night out or to just hang out, Agent Jack’s is one of the first things that come to mind when the words 'pub' and 'budget' are used in the same sentence. Known for their app, you can order all you want right at your table, without the hassle of waiters and incorrect orders. Prices start at INR 30. 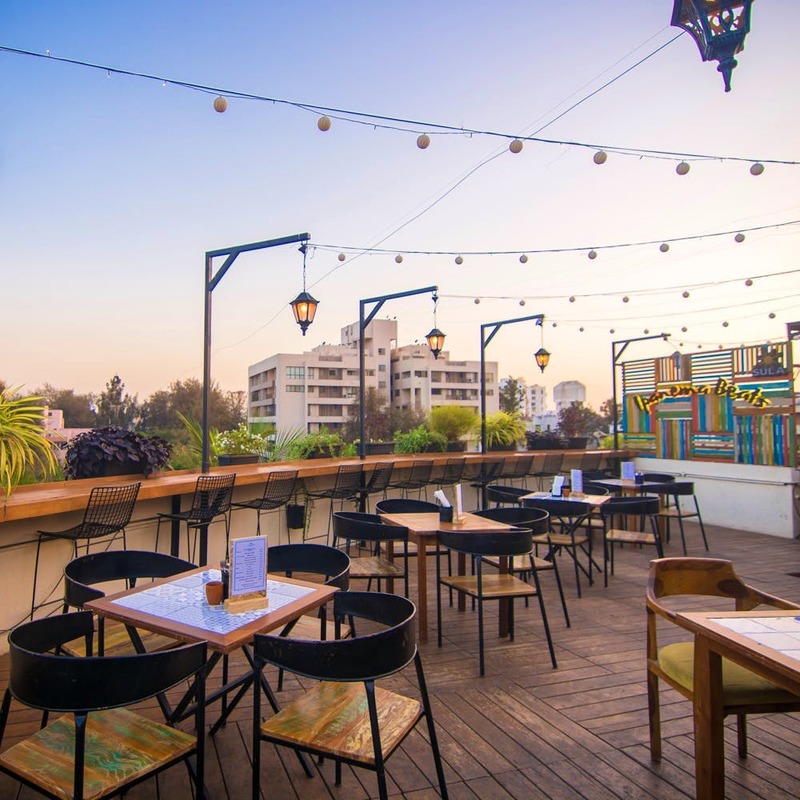 Botequim is a lovely rooftop place where you can enjoy craft beer and a few Brazilian bites. The space is lit up with a string of tiny lanterns and you can try a Brazilian beer, Chope or stick to what's on tap. The bar has some potent cocktails up their sleeve too. And, as for the food you'll find everything from grilled skewers to burgers and more authentic food like a classic pao de queijo, which is Brazilian cheese bread. You can grab a pint of beer for INR 200 here.